"1) It's a way of doing a crossover story in which writers don't feel like they're doing bits and pieces; (2) readers who prefer particular writers can read a month of their stories in a row rather than piecemeal chapters; (3) regular readers of the respective books will be exposed to writers and might--with any luck--like what they see and check out those writers on their own regular, respective titles. "My first month of stories will essentially be one complete tale. FNSM is told from Peter's POV, MK will be from MJ's POV, and the third will focus on Aunt May. 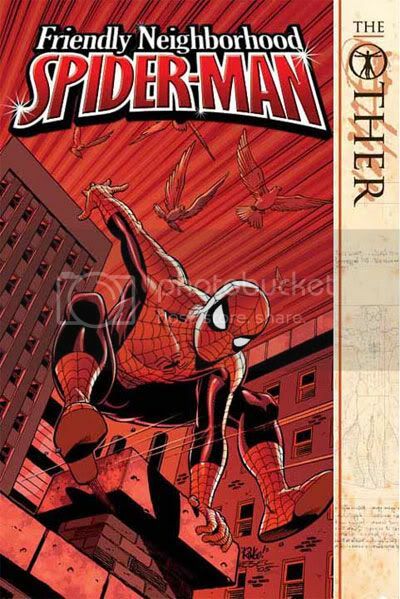 The main storyline will be resolved by Part 3, which will be in ASM. Now...will it have elements that tie into a larger crossover? Yes. One would hope they'll be interesting enough to prompt readers to continue reading the full arc. But if not, you'll still have a complete story, soup to nuts, just as if I were doing a three parter in FNSM. The only difference is that you'll get it in one month rather than three. I would like to think that's a good thing. But if you guys think that's a bad thing and don't want to read them, well...okay. I think that's kind of unfortunate, but it's your call." He wasn't 100% sure, as it was Paul Jenkins' story which gave Spidey the organic webs, but he speculated that it was done to more closely tie-in to the movies. However, he said he likes the idea of organic webshooters, as he put them in Spider-Man 2099 years ago. 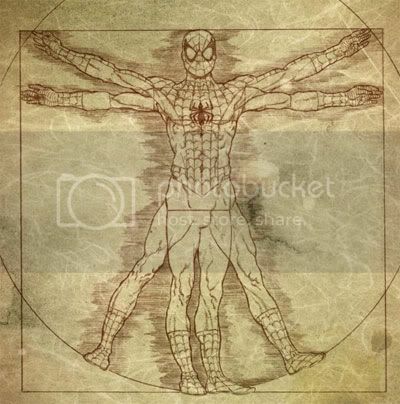 He then questioned why people could accept that a man could crawl on walls and have a form of ESP, but that shooting webs from his wrist is crazy? He says that crazy would be if he shot them from his behind, like a real spider. A DC vs. Marvel videogame is in talks, about a game that would feature characters from both universes, but no official announcements can be made yet. When asked about the recent story about Gwen Stacy, Norman Osborn & their illegitiment children, JMS seriously answered that Gwen Stacy had never really been explored as a character, and that she came across as trivial. By showing her go through this ordeal of making a mistake and choosing to take responsibility for that mistake, she became a stronger character in the process. He also pointed out that originally the baby was going to be Peter's but the story was changed to keep Peter's age ambiguous. When asked how to make Mary Jane more than just "Spider-Man's wife", Straczynski said "By showing her taking more chances in her career, and doing her own thing. Also, her interactions with the New Avengers are going to play a huge role in their relationship." David says "She can see things Spidey can't. For example, Spider-Man has never actually learned how to fight, and Mary Jane sees that they're living with Captain America, one of the best fighters in the world and suggests that Spidey take lessons from Cap." Now that he’s Chief of Programming for BET, Hudlin said he has three more issues of MK Spider-Man after his “The Other” arc. SIDE NOTE: Before he signed with Marvel, DC offered JMS Superman as part of their pitch to sign with them, but he turned down the offer. Apparently however, they said that should he ever change his mind, Superman will be there for him.